At first glance, the case of Spokeo, Inc. vs. Robins is a seemingly straightforward case. But it contains larger issues that might affect employers who use background screening firms, those firms themselves (rather, ourselves), and possibly employers more broadly. The fact that the case has been accepted on appeal for hearing next term by the Supreme Court confirms its importance. The basic facts (as reported) are that Spokeo is an online aggregator of personal information derived from numerous sources such as white pages, social media, and other public records databases. It makes this information available to anyone willing to pay a fee. The company does not review the data for accuracy, and acknowledges that it may publish erroneous information if its original sources are inaccurate. Thomas Robins, the class plaintiff in this case, alleges Spokeo has published information about him that isn’t true, including things like his income and marital status. He filed suit against Spokeo, on behalf of himself and a class of similarly situated individuals, under the Fair Credit Reporting Act (FCRA), which permits a remedy of up to $1000 per instance against a consumer reporting agency (CRA) that reports false data about an individual. In a class action lawsuit like Robins’, the penalties could be very substantial. The thing that is unusual about this case is that the normal definition of standing, which is the right to sue under the law, includes that the plaintiff must demonstrate that he or she has been harmed by the actions of the accused. In Robins’ case, he had not yet suffered actual damages when he submitted the lawsuit, but he argued that the FCRA, as passed by Congress, gave him the right to sue Spokeo because it reported erroneous information about him even absent of any actual harm. The narrow issue the Supreme Court will consider is whether Congress has the authority to confer a right to sue through legislation where the legal criteria for standing have not been met. More broadly, this is a separation of powers case that pits Congress against the courts. 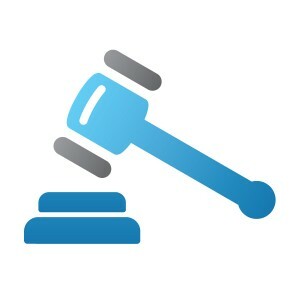 If the Court decides for Spokeo, it might question the constitutionality of FCRA’s penalty components and several other Federal statutes that purport to allow private claims for mere statutory violations without any actual harm. If it decides for Robins, it may crack open the door for a slew of lawsuits against Internet businesses (like Google and Facebook, among many others) that collect (and share?) information about individuals from online databases and activities. As is often the case, the really juicy issues in this case will not be resolved when the Supreme Court hands down its decision on separation of powers. People are watching the case because it involves the currently hot topic of privacy on the Internet: Who has a right to data about you? Are they obligated to report it accurately? The Court will deal with these issues for years to come, in small bites. Employers who ensure compliance among both their internal hiring staff and their background screening vendors can feel confident when it comes to facing allegations like those in this case. 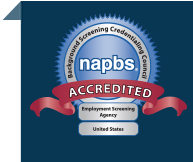 The point of using a high quality professional background screening company is to obtain information that has been collected from authoritative sources, reviewed for accuracy, and open to subject review. A ruling for Robins on the standing issue would complicate compliance for employers by making it easier to bring lawsuits for mere technical violations of the FCRA such as failing to provide a pre-background check disclosure, obtain proper written authorization, or follow the pre-adverse and adverse action FCRA requirements adequately. Such a ruling for Robins would make any reporting of erroneous data, no matter how accidental or even inconsequential, a potential threat to the background check provider. Regardless of the outcome, this case once again emphasizes the importance for companies in our space to know and follow the rules for authorizing, collecting, and disseminating information about individuals. Prudent employers will continue to adhere to FCRA guidelines in background screening, and they will acquire the relevant information they need to make sound employment decisions. The Internet will continue to be an important resource for background research, but information derived from there should be treated with due care.